The standard hook attachment for the MIR AGV is ideal for towing. 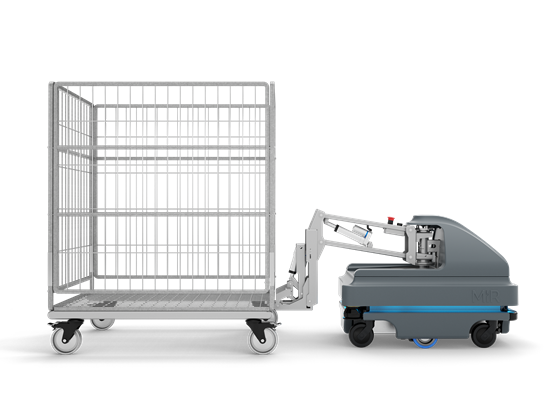 With a towing capacity of 1100 lbs the MIR AGV has great versatility. The unit comes equipped with a barcode scanner to read the rack it is attaching to in order to record the weight and dimensions to insure a safe turn radius is applied during travel.